On Saturday, March 7th, 2015 the Discovery Channel will air a special TV documentary show featuring a robot dolphin that has cameras embedded. The footage is filmed using a new generation of cutting-edge, animatronic spy cameras that are used in a fake dolphin. This was the best way to capture the ocean’s smartest creatures. Fans of the ocean will get to see dolphins up close and personal from the comfort of their own couch. 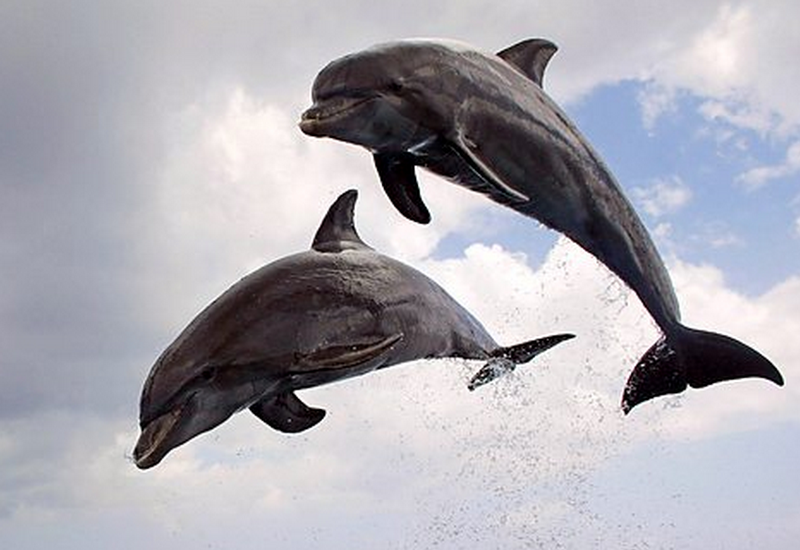 The dolphins are captured in Mozambique, Costa Rica, the Florida Keys, the Pacific Ocean and Shark Bay, Australia. Viewers will get to see a spinning dolphin leap and a dolphin super pod using speech bubbles to communicate. This should be one of the more interesting documentaries to air on the Discovery Channel in quite some time. There was a TV documentary show on BBC titled Dolphins: Spy in the Pod on January 2nd, 2014. From the research I have done, it looks as if this is the same show that we are going to see on the Discovery Channel on Saturday, March 7th, 2015. I am not 100% certain so if anyone can confirm I would appreciate it. This is the same team that did the documentary Penguins so it is likely the same TV documentary show. The ratings on IMDB were 7.9 out of 10 which are very good for a documentary. David Tennant will be the one narrating. No matter which side of the fence you are on this is a unique look at dolphins in the wild. My personal opinion is the dolphins are acting natural because the robot dolphin is not disrupting their habitat. I am, by no means, an expert on this topic but I will be watching the Dolphin Discovery Channel TV Documentary on Saturday, March 7th, 2015. This is a breath of fresh air when it comes to other Discovery Channel shows like Alaskan Bush People and Moonshiners. It is amazing to see how the Discovery Channel rarely shows natural habitat shows any more as it is all reality TV. I can remember when I first got an HD TV there were hours of natural TV shows in high definition. I have no idea where that went as now everything is about the Amish Mafia or ways to get viewers with crazy car shows. Will you be watching the Discovery Channel Dolphin TV Show? Are you interested in how they made the dolphins with cameras in them? Are the cameras in the eyes of the robotic dolphins? There are hundreds of questions I have leading up to this show. What Kind of Ocean Fish Are on the Dolphins Show? It looks as if we will get to see rays, cobia fish and dolphins swimming together. There should be a plethora of other ocean fish that we will get to see on this show. If anyone is an expert in the field and would like to document what types of fish were seen on this particular Discovery TV show please feel free to post a list below in the comments.